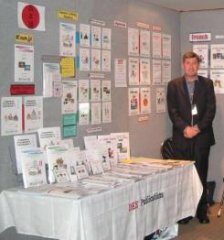 DEE Publications Ltd is an educational publishing company, which began in 2000 with the objective of providing high-quality language resources to schools. The focus of this company is modern languages – Japanese, French, Indonesian as well as English and ESL (English as a Second Language).The resources are in two main groups:1. Photocopiable, black-line masters which are sold to educational institutions for use solely within the purchasing institution and are not be handed on to any other institution. 2. Full-colour non-photocopiable Japanese Readers and Audio CDs. Our resources are unique and very popular. They are currently used widely in schools both in New Zealand and Australia. ‘A knowledge of words leads to a knowledge of things.’ PlatoOur aim is to provide exciting resources that will inspire teachers to teach languages and students to learn languages. Over the next few years we will continue to expand resources in our current language areas. We also hope to produce resources for Spanish and German. A major focus will also be the expansion of our resources English / ESL resources. We welcome your enquiries, your feedback and your suggestions for future resources.